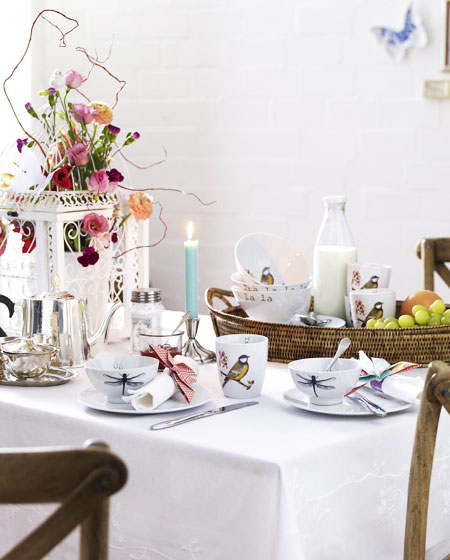 Few wonderful ideas by the German magazine “Wunderweib“ how to refresh our home with details including birds and butterflies. 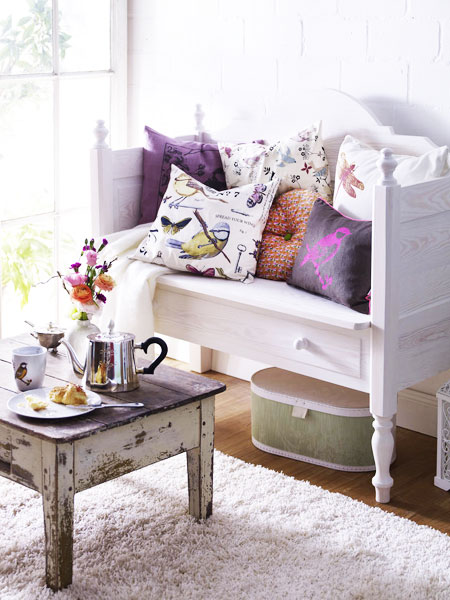 Most of them aren’t expensive at all, but at the same time all the ideas are really impressive: lovely combination of soft pillows with birds on it, straws with paper butterflies, flowers in a decorative bird cage etc. Which idea you like most? Няколко чудесни идеи как да освежим дома си с помощта на детайли с птички и пеперуди представят от немското списание “Wunderweib“. Повечето от тях не са свързани с много разходи, а в същото време са наистина впечатляващи: различна комбинация от пухкави възглавнички с птички, сламки с хартиени пеперуди, цветя поставени в декоративна клетка за птички и пр. Коя идея ви допада най-много? I must admit, I have two beautiful illustrations of birds in my home. They are illustrated on old book pages. Love them so much! I can't choose…love all the pictures. All the photos have a wonderful happy energy about them. Lovely. So inspiring1 That wall is amazing! by the way, I am so glad I found your blog, so inspiring! 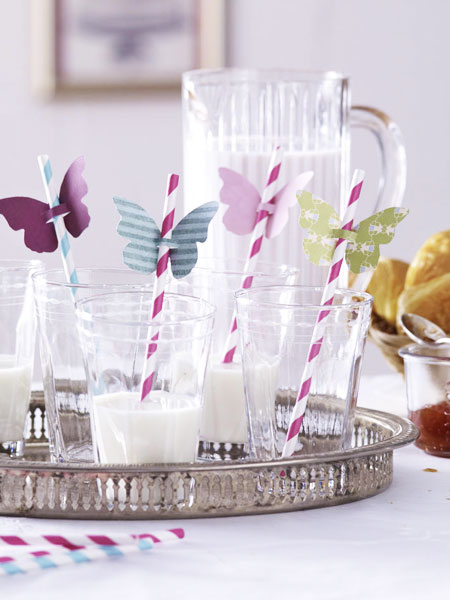 wow, what super nice pictures :) i love all the beautiful details, like the butterflies on the straws !! i didnt know "wunderweib" thank you for showing us!! Very beautiful!! Love the color!!!! I love how springy this post is! I love how shabby chic the first photo is, and how the loveseat is piled with colorful pillows! 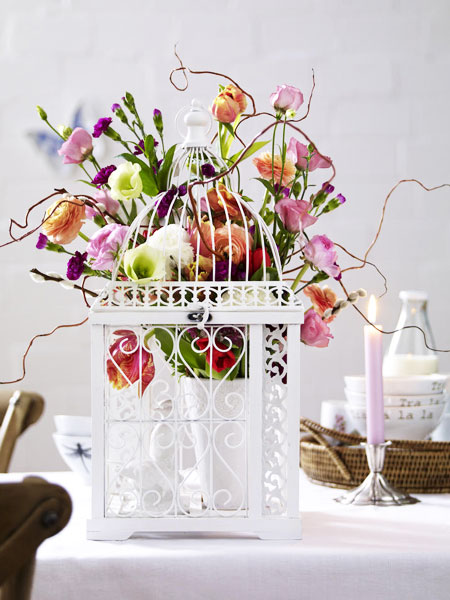 Love this – with your use of white and the colorful flowers. 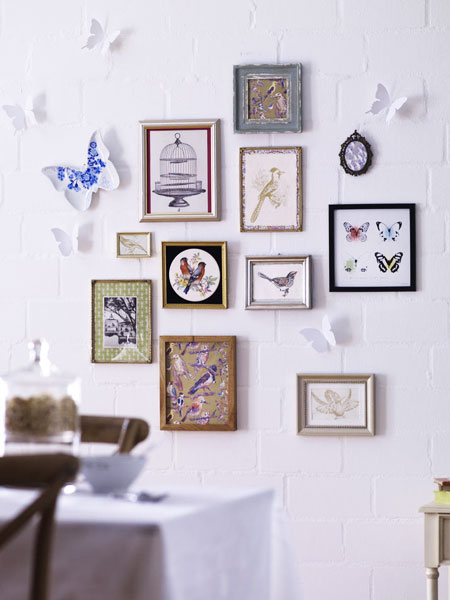 And butterflies are a favorite – thanks to Holly at Decor8 for introducing me to you! Very beautiful home decoration, we really appreciate all the great home photos you paste here.